Robert Poriss and John Jentzer scored 0.84 masterpoints with a 54.92% game at St. George Bridge Clubs. See full results of this game. Phyllis Hedberg and Ronald Greenlee scored 0.84 masterpoints with a 55.87% game at St. George Bridge Clubs. See full results of this game. Mary Juers and Sharon Aspenberg scored 1.10 masterpoints with a 59.72% game at St. George Bridge Clubs. See full results of this game. Phyllis Hedberg and Myrtle Feller scored 0.77 masterpoints with a ★61.11%★ game at St. George Bridge Clubs. See full results of this game. Ronald Greenlee and John Jentzer scored 0.39 masterpoints with a 53.94% game at St. George Bridge Clubs. See full results of this game. Shawn Darby and Ronald Smith scored 0.31 masterpoints with a 55.35% game at St. George Bridge Clubs. See full results of this game. Ronald Greenlee and Dru O'bryan scored 0.39 masterpoints with a 56.06% game at St. George Bridge Clubs. See full results of this game. Frank Shannon and Paul Costantino scored 0.90 masterpoints with a ★62.96%★ game at St. George Bridge Clubs. See full results of this game. Myrtle Feller and Joan Phillips scored 0.45 masterpoints with a 55.79% game at St. George Bridge Clubs. See full results of this game. Carol Mix and Judy Hannaford scored 0.45 masterpoints with a 54.86% game at St. George Bridge Clubs. See full results of this game. Phyllis Hedberg and Myrtle Feller scored 0.35 masterpoints with a 54.64% game at St. George Bridge Clubs. See full results of this game. 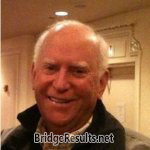 Bob Poriss and Ronald Greenlee scored 0.49 masterpoints with a 58.93% game at St. George Bridge Clubs. See full results of this game. Carol Mix and Judy Hannaford scored 0.35 masterpoints with a 49.59% game at St. George Bridge Clubs. See full results of this game. David Waterman and Terry Waterman scored 0.70 masterpoints with a 59.29% game at St. George Bridge Clubs. See full results of this game. Robert Poriss and John Jentzer scored 0.70 masterpoints with a 55.18% game at St. George Bridge Clubs. See full results of this game. Ronald Greenlee and Pete Bowman scored 0.23 masterpoints with a 53.12% game at St. George Bridge Clubs. See full results of this game. A Carmichael and Myrtle Feller scored 0.28 masterpoints with a 52.76% game at St. George Bridge Clubs. See full results of this game. Paul E Costantino and Sharon Aspenberg scored 1.40 masterpoints with a ★63.79%★ game at St. George Bridge Clubs. See full results of this game. Ronald Smith and Richard Glass scored 0.23 masterpoints with a 49.95% game at St. George Bridge Clubs. See full results of this game. Pat Bramlage and Sharon Aspenberg scored 0.28 masterpoints with a 48.6% game at St. George Bridge Clubs. See full results of this game. Ronald Greenlee and Joan Phillips scored 1.30 masterpoints with a ★61.89%★ game at St. George Bridge Clubs. See full results of this game. A Carmichael and Myrtle Feller scored 1.30 masterpoints with a ★61.36%★ game at St. George Bridge Clubs. See full results of this game. Ann Matthews and Jana Willcoxon scored 0.65 masterpoints with a 54.36% game at St. George Bridge Clubs. See full results of this game. Scott Woods and Elizabeth Jameson scored 0.26 masterpoints with a 51.51% game at St. George Bridge Clubs. See full results of this game. Richard Smith and Sharon Summers scored 0.25 masterpoints with a 50.76% game at St. George Bridge Clubs. See full results of this game. Ronald Smith and John Jentzer scored 0.91 masterpoints with a ★61.19%★ game at St. George Bridge Clubs. See full results of this game. Phyllis Hedberg and Ginny Rasmussen scored 0.70 masterpoints with a ★65.48%★ game at Bridge at Mesquite. See full results of this game. Linda Triffet and Donna Moore scored 0.49 masterpoints with a ★63.39%★ game at Bridge at Mesquite. See full results of this game. Frank Shannon and Linda Shannon scored 0.70 masterpoints with a 59.52% game at Bridge at Mesquite. See full results of this game. Peter Mastic and Joan Phillips scored 0.55 masterpoints with a 53.7% game at St. George Bridge Clubs. See full results of this game. Nancy Conley and Myrtle Feller scored 0.39 masterpoints with a 51.44% game at St. George Bridge Clubs. See full results of this game. Ronald Greenlee and Dru O'bryan scored 0.45 masterpoints with a 57.94% game at St. George Bridge Clubs. See full results of this game. Frank Shannon and Linda Shannon scored 0.24 masterpoints with a 50.46% game at St. George Bridge Clubs. See full results of this game. A Carmichael and Scott Woods scored 0.63 masterpoints with a 57.41% game at St. George Bridge Clubs. See full results of this game. Tom Coverdale and Sharon Summers scored 0.24 masterpoints with a 50.46% game at St. George Bridge Clubs. See full results of this game. Bob Poriss and Ronald Greenlee scored 0.40 masterpoints with a 53.87% game at St. George Bridge Clubs. See full results of this game. Marian Charrier and Myrtle Feller scored 0.56 masterpoints with a ★61.61%★ game at St. George Bridge Clubs. See full results of this game. David Waterman and Terry Waterman scored 0.80 masterpoints with a ★★73.21%★★ game at St. George Bridge Clubs. See full results of this game. Franklin Shannon and David Zehnder scored 0.40 masterpoints with a 50.3% game at St. George Bridge Clubs. See full results of this game. Phyllis Hedberg and Paul Costantino scored 0.80 masterpoints with a ★67.56%★ game at St. George Bridge Clubs. See full results of this game. Joan Phillips and Judy Hannaford scored 0.48 masterpoints with a 52.38% game at St. George Bridge Clubs. See full results of this game. Robert Poriss and John Jentzer scored 1.02 masterpoints with a ★63.26%★ game at St. George Bridge Clubs. See full results of this game. Sharon Summers and Thomas Coverdale scored 0.24 masterpoints with a 48.48% game at St. George Bridge Clubs. See full results of this game. Paul E Costantino and Sharon Aspenberg scored 0.60 masterpoints with a 57.2% game at St. George Bridge Clubs. See full results of this game. Richard Smith and Sharon Summers scored 1.20 masterpoints with a 58.71% game at St. George Bridge Clubs. See full results of this game. Greg Berry and Ronald Greenlee scored 0.84 masterpoints with a 57.08% game at St. George Bridge Clubs. See full results of this game. Jana Willcoxon and Myrtle Feller scored 1.20 masterpoints with a ★63.98%★ game at St. George Bridge Clubs. See full results of this game. Bob Poriss and Terry Waterman scored 1.48 masterpoints with a 59.04% game at Bridge at Mesquite. See full results of this game. Martha Arrington and Ginny Rasmussen scored 1.97 masterpoints with a 59.27% game at Bridge at Mesquite. See full results of this game. Linda Shannon and Frank Shannon scored 0.28 masterpoints with a 50.72% game at Bridge at Mesquite. See full results of this game. Linda Triffet and Donna Moore scored 0.14 masterpoints with a 48.56% game at Bridge at Mesquite. See full results of this game. David Zehnder and Bonnie Denz scored 0.83 masterpoints with a 54.92% game at Bridge at Mesquite. See full results of this game. Ronald Greenlee and Joan Phillips scored 0.42 masterpoints with a 53.41% game at St. George Bridge Clubs. See full results of this game. Myrtle Feller and Elizabeth Jameson scored 1.20 masterpoints with a 59.38% game at St. George Bridge Clubs. See full results of this game. A Carmichael and Pat Bramlage scored 0.24 masterpoints with a 52.5% game at St. George Bridge Clubs. See full results of this game. Scott Woods and Marian Charrier scored 1.20 masterpoints with a ★60%★ game at St. George Bridge Clubs. See full results of this game. Ronald Smith and John Jentzer scored 0.84 masterpoints with a 56.59% game at St. George Bridge Clubs. See full results of this game. Robert Poriss and John Jentzer scored 0.28 masterpoints with a 51.39% game at St. George Bridge Clubs. See full results of this game. Ronald Smith and Ann Matthews scored 0.70 masterpoints with a ★60.88%★ game at St. George Bridge Clubs. See full results of this game. Phyllis Hedberg and Nancy Conley scored 0.56 masterpoints with a 55.56% game at St. George Bridge Clubs. See full results of this game. A Carmichael and Myrtle Feller scored 0.50 masterpoints with a 59.49% game at St. George Bridge Clubs. See full results of this game. Ronald Smith and Shawn Darby scored 0.50 masterpoints with a 57.64% game at St. George Bridge Clubs. See full results of this game. Ronald Greenlee and Denise Bernhisel scored 0.39 masterpoints with a 59.47% game at St. George Bridge Clubs. See full results of this game. Bob Poriss and Ronald Greenlee scored 0.49 masterpoints with a 58.33% game at St. George Bridge Clubs. See full results of this game. David Waterman and Terry Waterman scored 0.70 masterpoints with a ★61.9%★ game at St. George Bridge Clubs. See full results of this game. Barbara Nielsen and Myrtle Feller scored 0.35 masterpoints with a 57.74% game at St. George Bridge Clubs. See full results of this game. Robert Poriss and John Jentzer scored 1.40 masterpoints with a ★66.32%★ game at St. George Bridge Clubs. See full results of this game. A Carmichael and Pat Bramlage scored 0.28 masterpoints with a 51.44% game at St. George Bridge Clubs. See full results of this game. Trish Ayers and Sharon Aspenberg scored 0.84 masterpoints with a 58.68% game at St. George Bridge Clubs. See full results of this game. Richard Smith and Sharon Summers scored 0.39 masterpoints with a 51.23% game at St. George Bridge Clubs. See full results of this game. Ronald Smith and Phyllis Hedberg scored 0.24 masterpoints with a 53.33% game at St. George Bridge Clubs. See full results of this game. Robert Poriss and John Jentzer scored 0.42 masterpoints with a 53.45% game at St. George Bridge Clubs. See full results of this game. A Carmichael and Pat Bramlage scored 0.60 masterpoints with a 58.43% game at St. George Bridge Clubs. See full results of this game. Scott Woods and Marian Charrier scored 0.84 masterpoints with a 58.63% game at St. George Bridge Clubs. See full results of this game. Paul Costantino and Ginny Rasmussen scored 0.49 masterpoints with a 57.14% game at Bridge at Mesquite. See full results of this game. Tom Coverdale and Jim Whitmore scored 0.70 masterpoints with a 57.74% game at Bridge at Mesquite. See full results of this game. Robert Poriss and John Jentzer scored 0.77 masterpoints with a 59.88% game at St. George Bridge Clubs. See full results of this game. A Carmichael and Sherry Mann scored 0.55 masterpoints with a 52.78% game at St. George Bridge Clubs. See full results of this game. Phyllis Hedberg and Nancy Conley scored 0.34 masterpoints with a 51.62% game at St. George Bridge Clubs. See full results of this game. Ronald Greenlee and Elizabeth Jameson scored 1.10 masterpoints with a ★60.49%★ game at St. George Bridge Clubs. See full results of this game. Frank Shannon and Paul Costantino scored 0.32 masterpoints with a 56.25% game at St. George Bridge Clubs. See full results of this game. Peter Mastic and Tom Coverdale scored 1.03 masterpoints with a 58.33% game at St. George Bridge Clubs. See full results of this game. Ronald Greenlee and Bill Milligan scored 0.44 masterpoints with a ★60.15%★ game at St. George Bridge Clubs. See full results of this game. Marian Charrier and Myrtle Feller scored 0.35 masterpoints with a 55.65% game at St. George Bridge Clubs. See full results of this game. David Waterman and Terry Waterman scored 0.70 masterpoints with a ★68.45%★ game at St. George Bridge Clubs. See full results of this game. Phyllis Hedberg and Nancy Conley scored 0.70 masterpoints with a ★60.71%★ game at St. George Bridge Clubs. See full results of this game. Franklin Shannon and David Zehnder scored 0.49 masterpoints with a 57.14% game at St. George Bridge Clubs. See full results of this game. Sharon Aspenberg and Pat Bramlage scored 1.05 masterpoints with a ★61.74%★ game at St. George Bridge Clubs. See full results of this game. John Jentzer and Myrtle Feller scored 1.50 masterpoints with a ★60.21%★ game at St. George Bridge Clubs. See full results of this game. Scott Woods and Elizabeth Jameson scored 1.05 masterpoints with a 59.03% game at St. George Bridge Clubs. See full results of this game. Ronald Smith and Shawn Darby scored 0.53 masterpoints with a 55.29% game at St. George Bridge Clubs. See full results of this game. Robert Poriss and John Jentzer scored 0.42 masterpoints with a 51.46% game at St. George Bridge Clubs. See full results of this game. Richard Smith and Sharon Summers scored 0.45 masterpoints with a 50% game at St. George Bridge Clubs. See full results of this game. Phyllis Hedberg and Cindy Davis scored 0.32 masterpoints with a 49.58% game at St. George Bridge Clubs. See full results of this game. 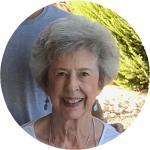 Myrtle Feller and Elizabeth Jameson scored 0.84 masterpoints with a 57.71% game at St. George Bridge Clubs. See full results of this game. Christine Hall and Ronald Smith scored 0.60 masterpoints with a ★61.14%★ game at St. George Bridge Clubs. See full results of this game. A Carmichael and Pat Bramlage scored 0.42 masterpoints with a 56.14% game at St. George Bridge Clubs. See full results of this game. Frank Shannon and Linda Shannon scored 0.70 masterpoints with a 56.55% game at Bridge at Mesquite. See full results of this game. Tom Coverdale and Jim Whitmore scored 0.35 masterpoints with a 53.87% game at Bridge at Mesquite. See full results of this game. David Zehnder and Bonnie Denz scored 0.70 masterpoints with a 57.74% game at Bridge at Mesquite. See full results of this game. Paul Costantino and Ginny Rasmussen scored 0.49 masterpoints with a 55.95% game at Bridge at Mesquite. See full results of this game. John Jentzer and Ronald Greenlee scored 0.63 masterpoints with a 55.82% game at St. George Bridge Clubs. See full results of this game. Ronald Smith and Ann Matthews scored 0.32 masterpoints with a 52.68% game at St. George Bridge Clubs. See full results of this game. Phyllis Hedberg and Myrtle Feller scored 0.90 masterpoints with a ★64.58%★ game at St. George Bridge Clubs. See full results of this game.